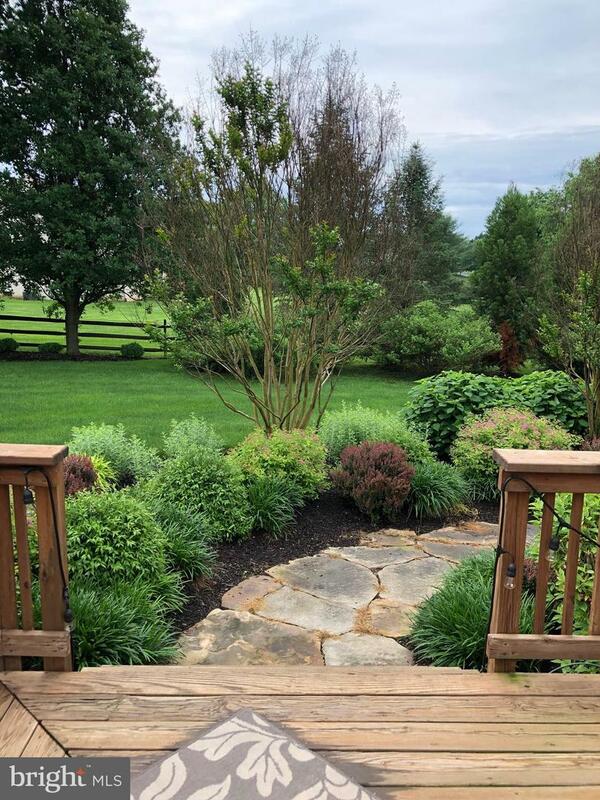 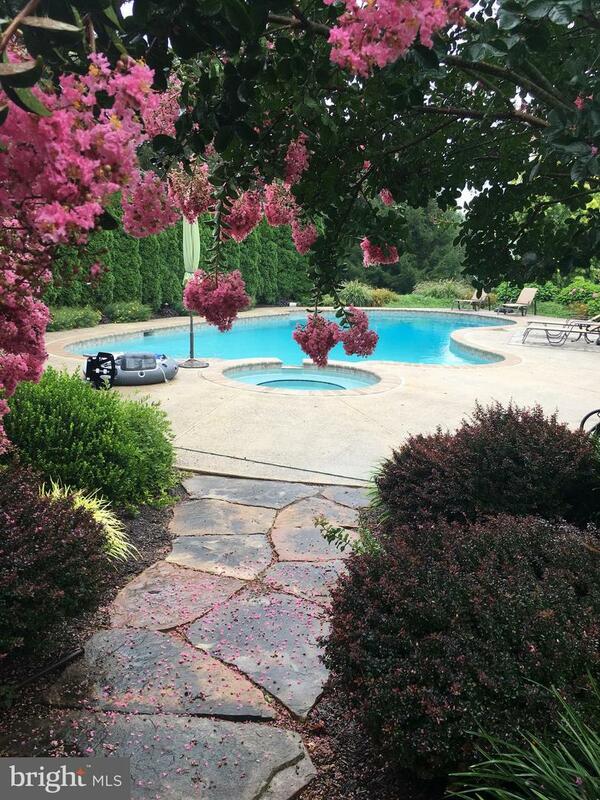 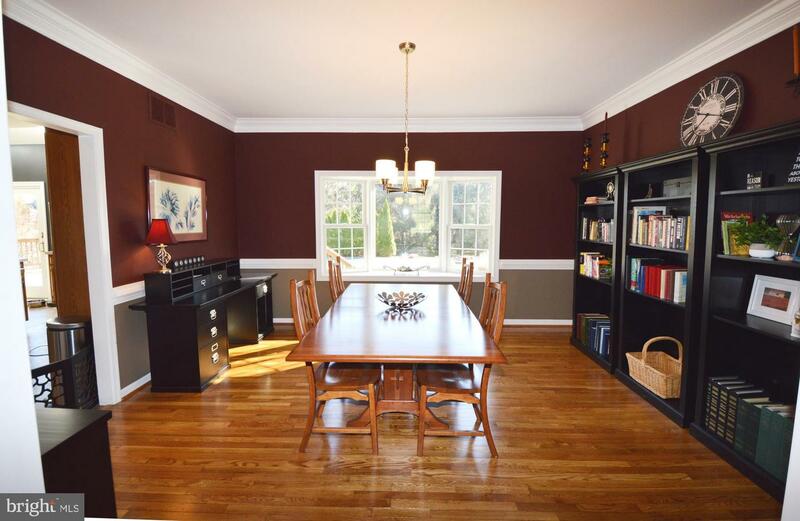 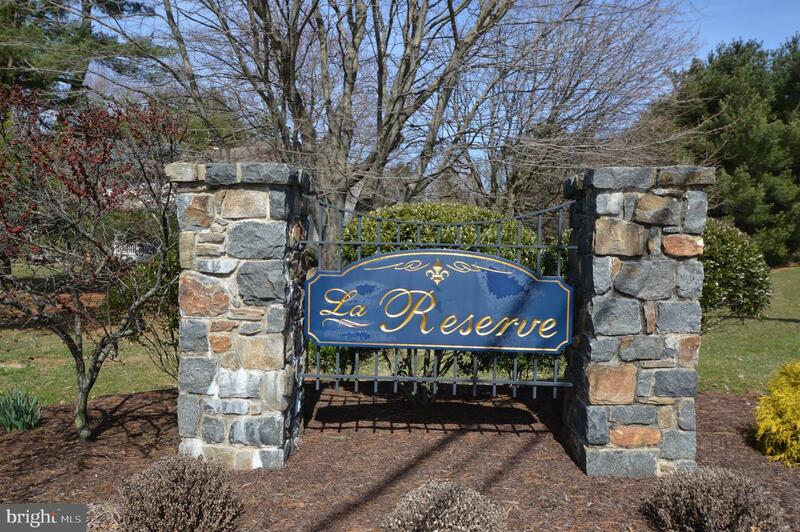 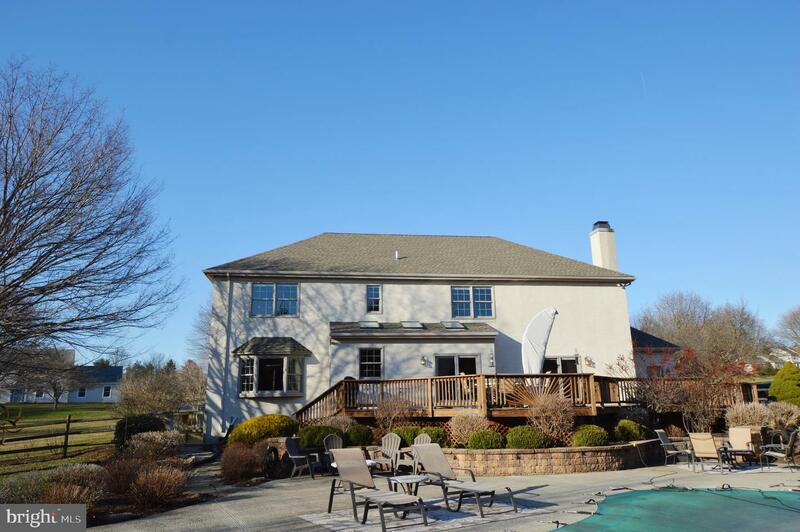 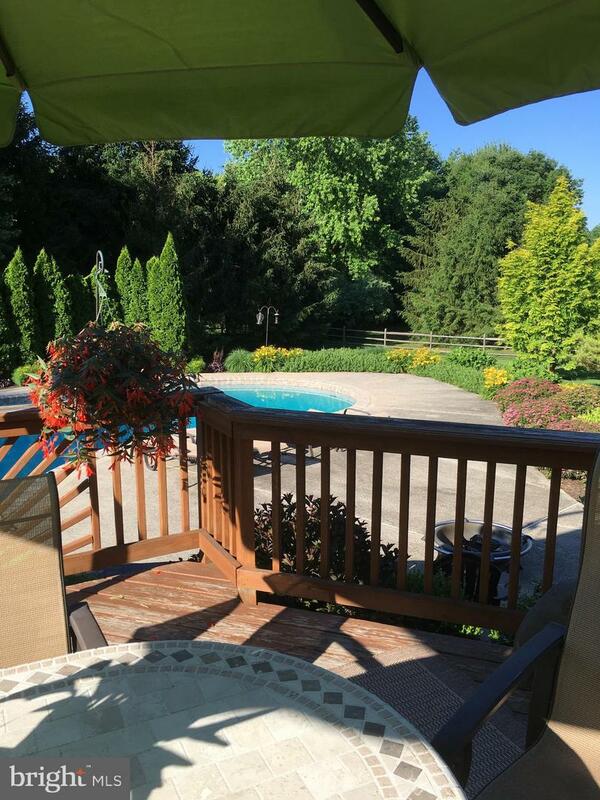 This stunning La Reserve and Unionville Chadds Ford School District 4-5 Bedroom 3.5 Bath home has a gorgeous heated pool, spa, and professionally landscaped lot and is ready to go. 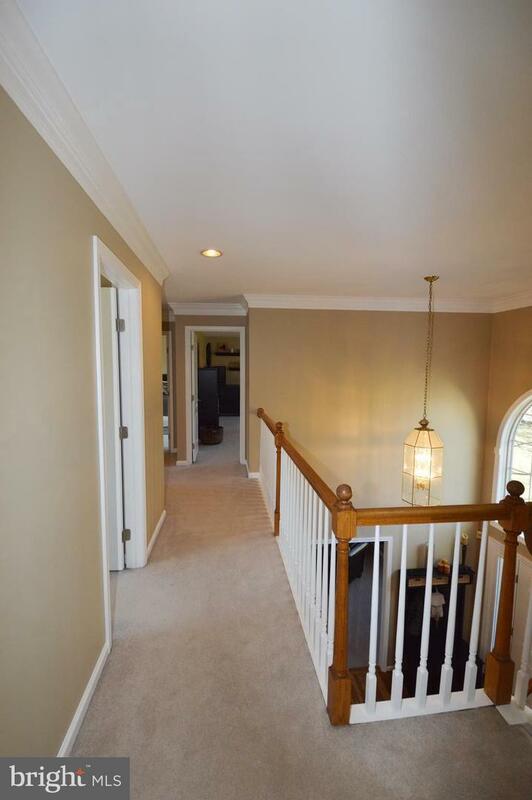 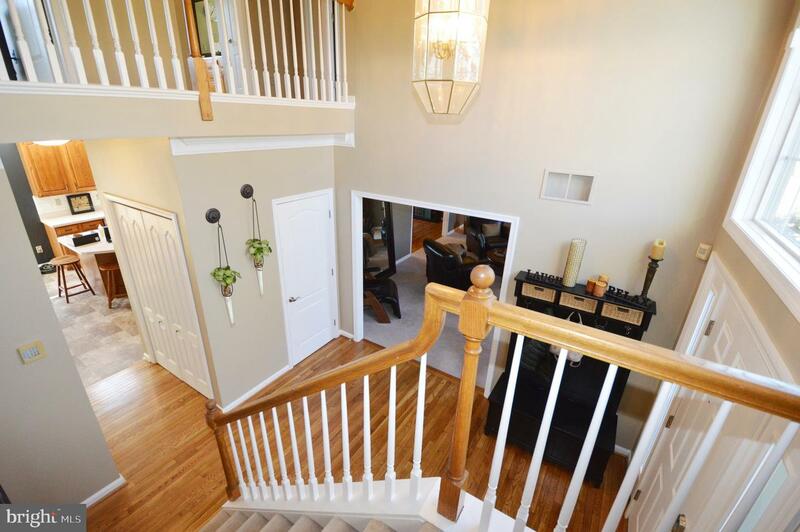 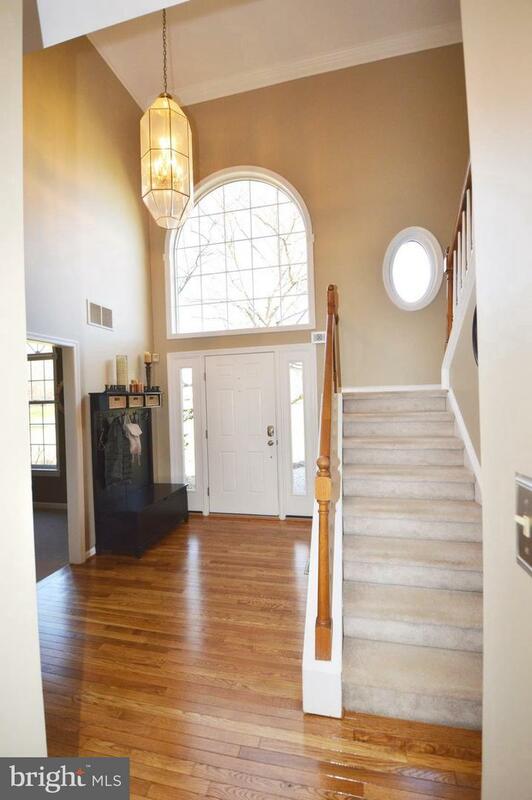 The bright 2 story foyer with oversized window, crown molding, fresh paint, and newly refinished wood floors gives you a preview of the loving care that has gone into this home. 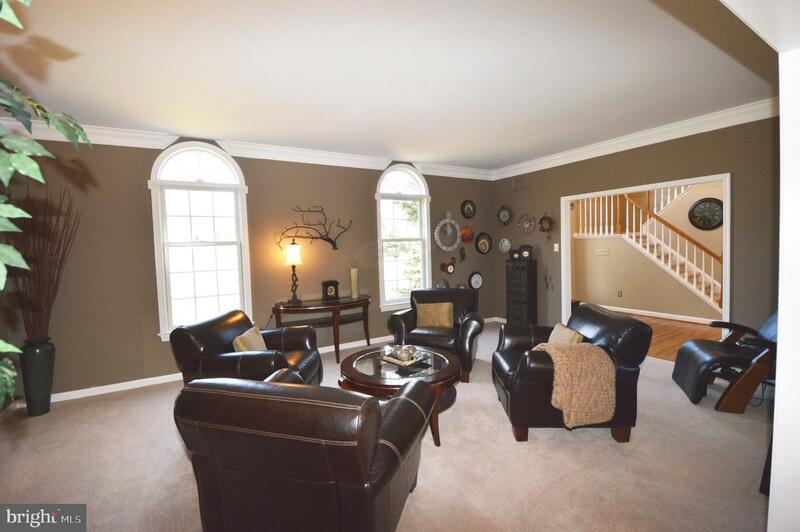 The living room has attractive arch topped windows, upgraded carpet, and crown molding which add a touch of elegance but also make it a very inviting room. 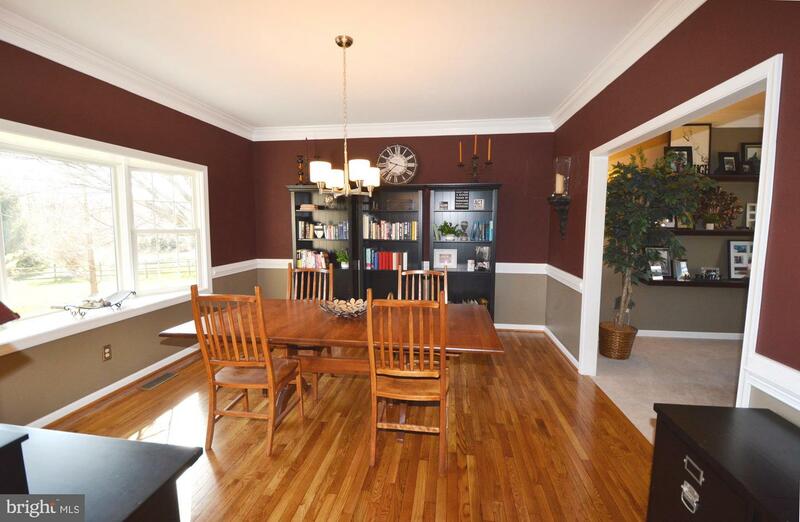 Move along to the attached dining room with bay window, beautiful backyard views, gleaming hardwood, and extensive formal trim work. 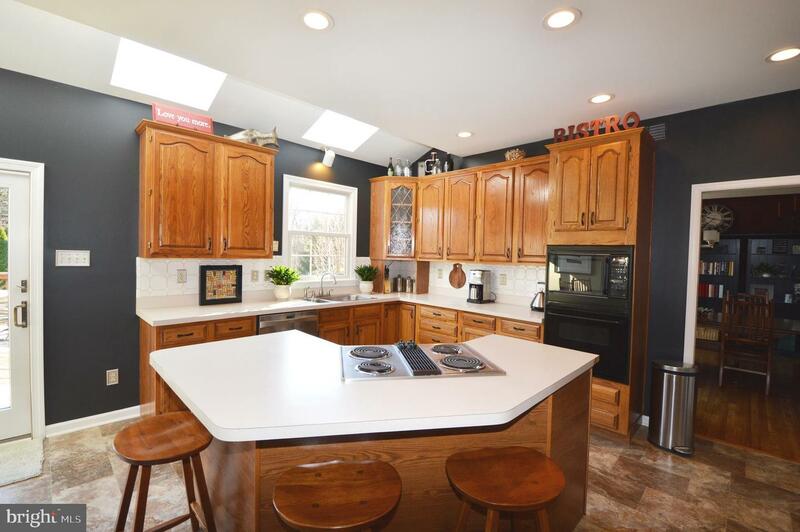 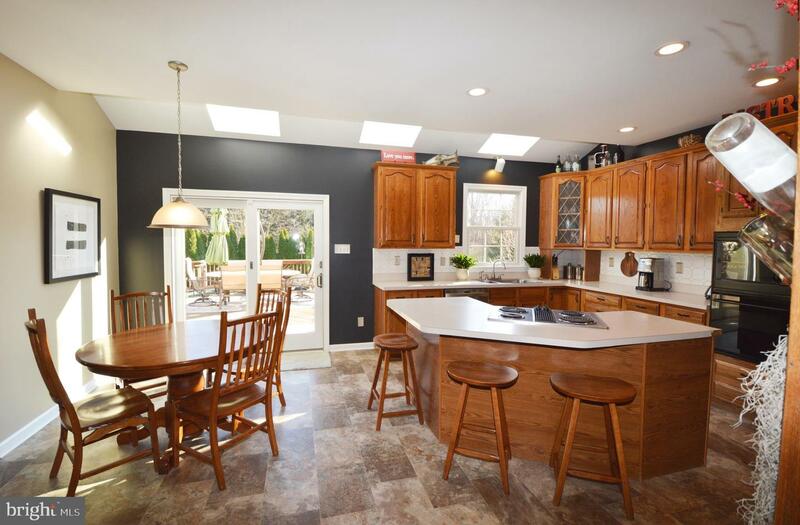 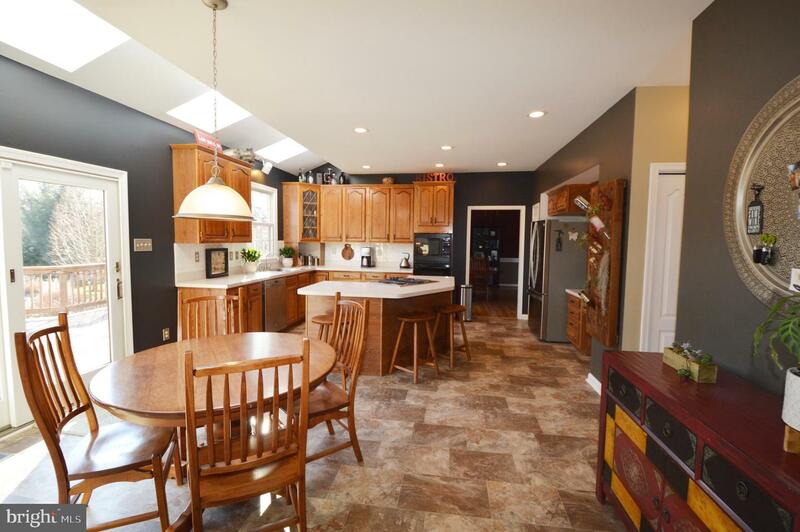 As you enter the kitchen, you will notice it is absolutely flooded with natural light from 3 skylights, a slider to the deck, and a window over the sink. 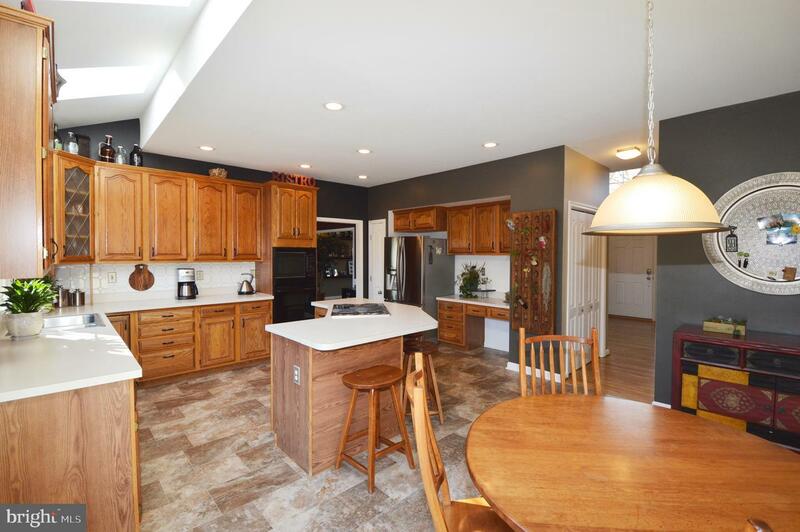 There is a large island with seating for 3, a desk, nice sized pantry, double stainless sink, and Kenmore Elite dishwasher. 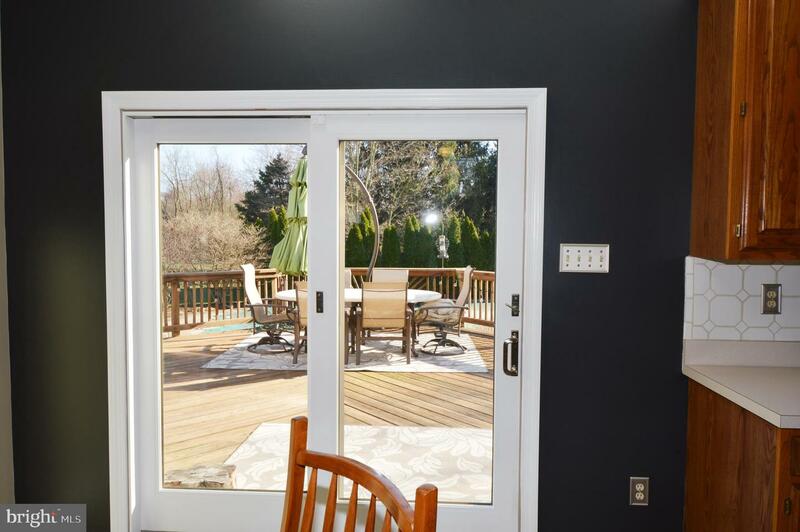 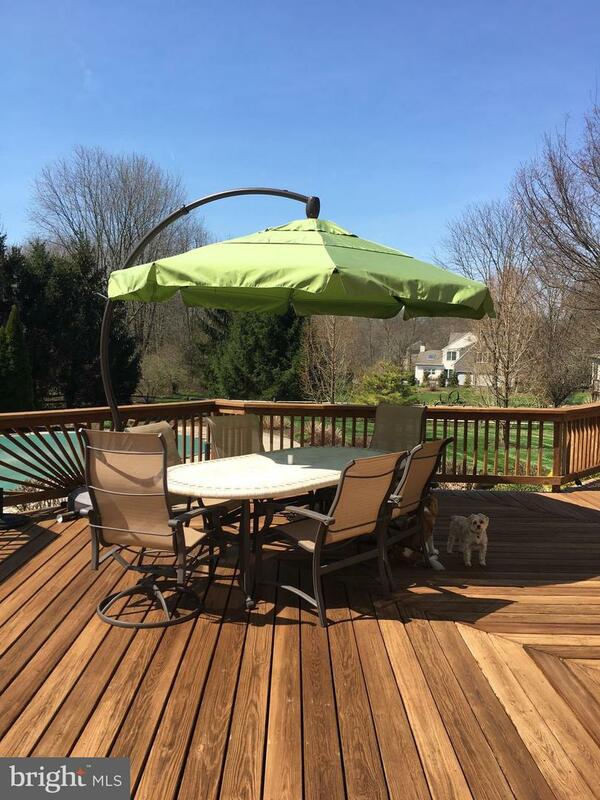 Step outside to the 900 sf refinished deck overlooking the incredible pool and imagine all the enjoyable times you will have here. 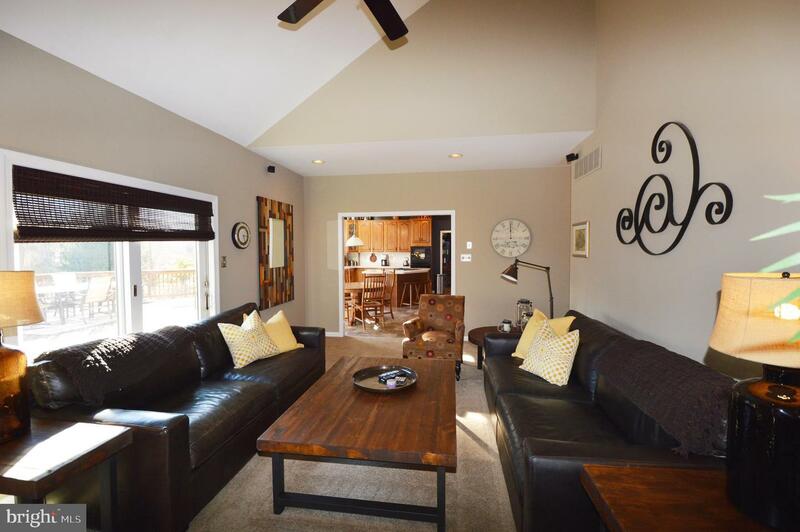 Walk back inside to the open flow of the family room with vaulted ceiling, additional slider, ceiling fan, and lovely wood burning fireplace and picture yourself watching the big game or entertaining friends. 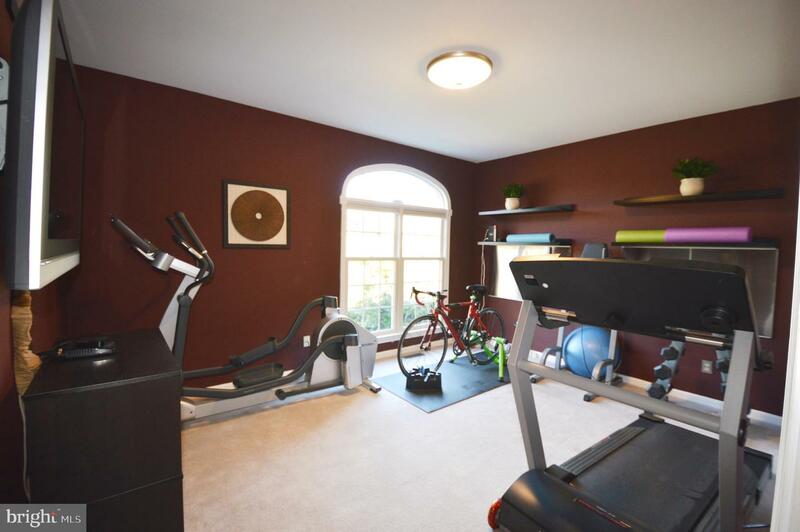 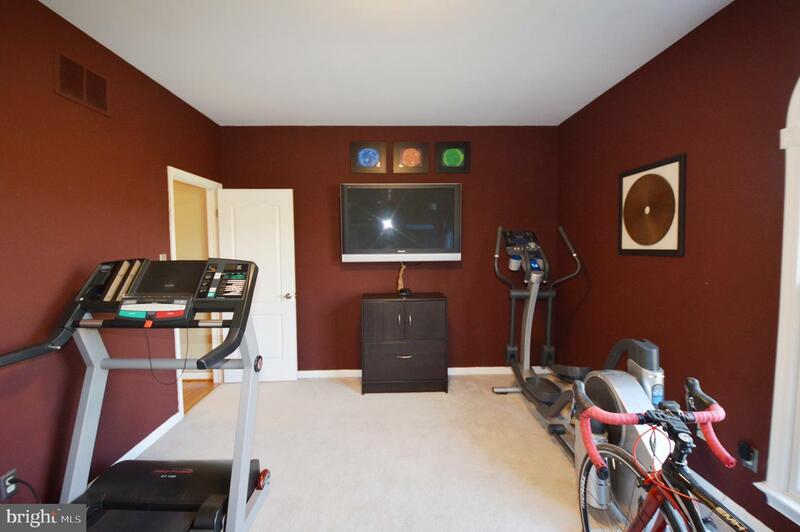 The office or exercise room is set back from the hustle and bustle of the house so you can enjoy some peace and quiet as well as nice views of the front yard. 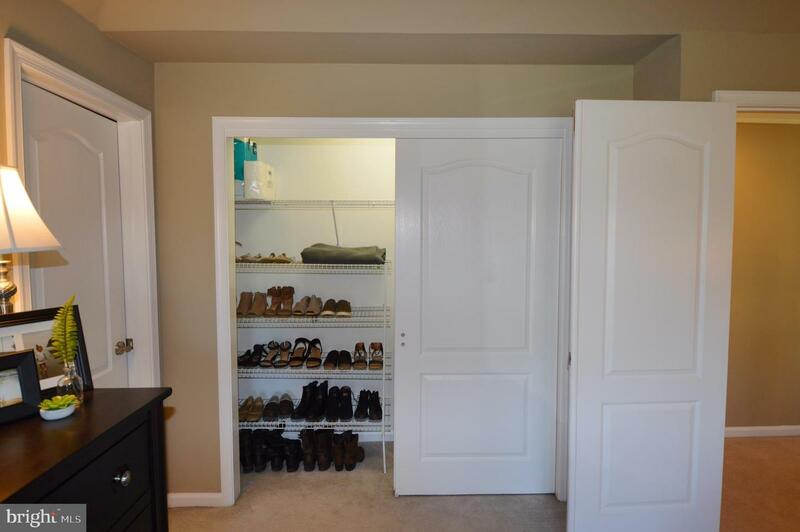 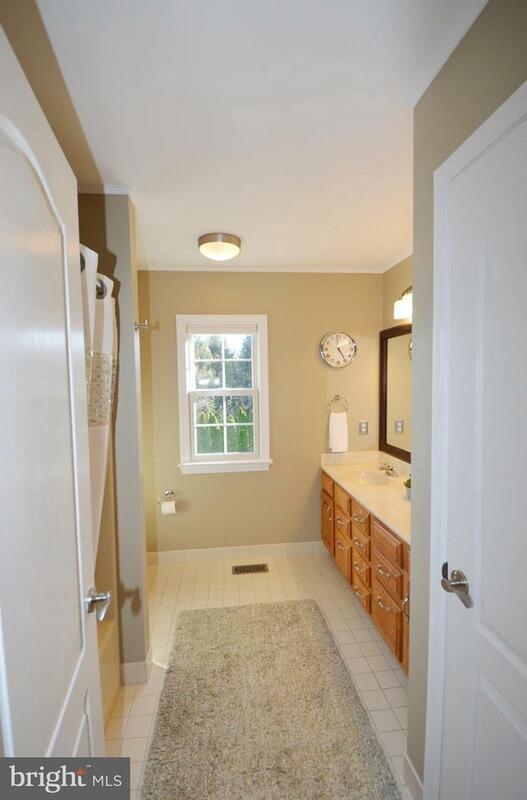 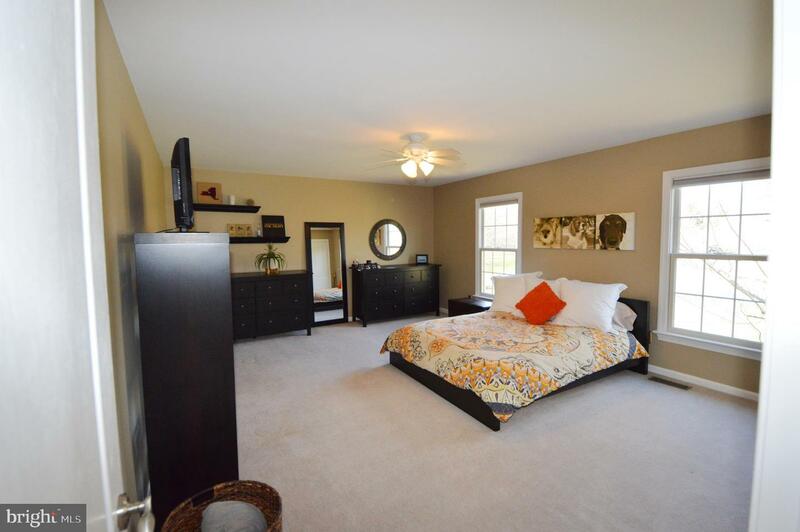 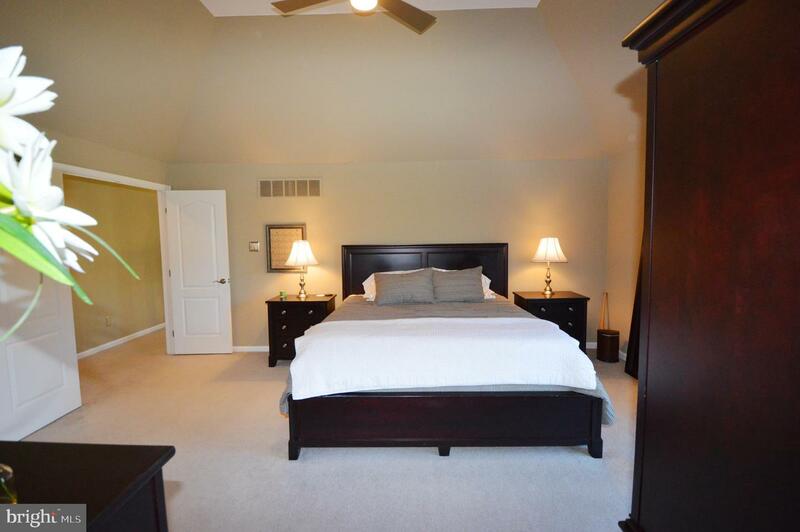 Walk upstairs to the master bedroom with large walk in closet, additional closet, and attached master bath with jetted tub, new skylight, separate shower, and double sink vanity. 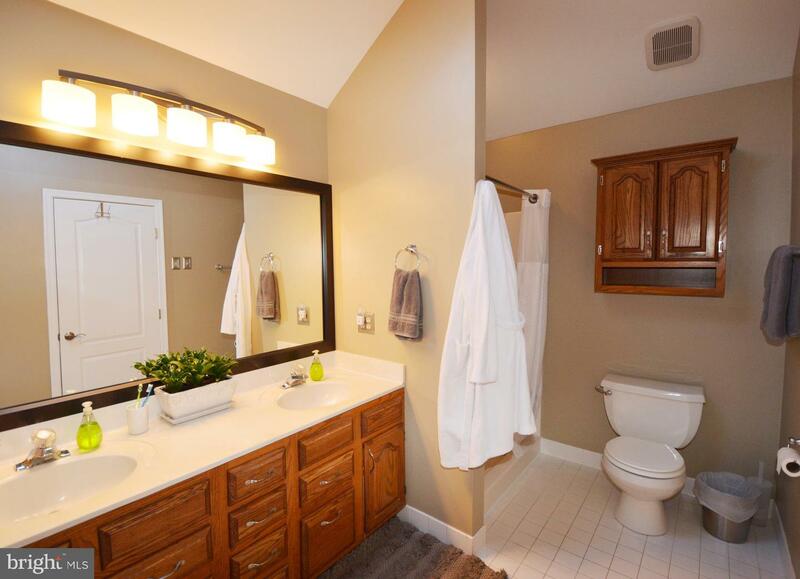 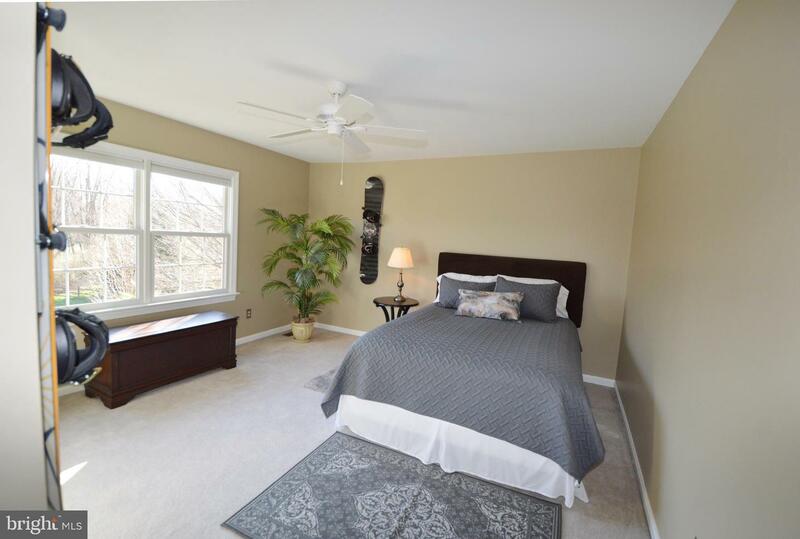 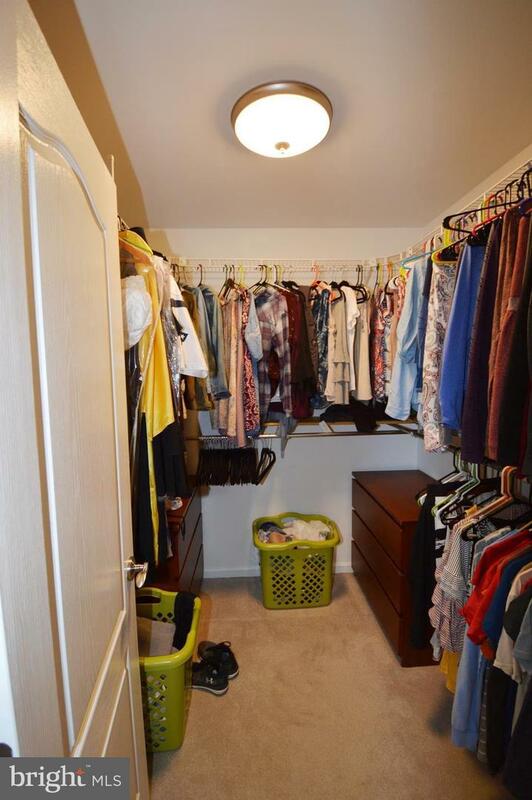 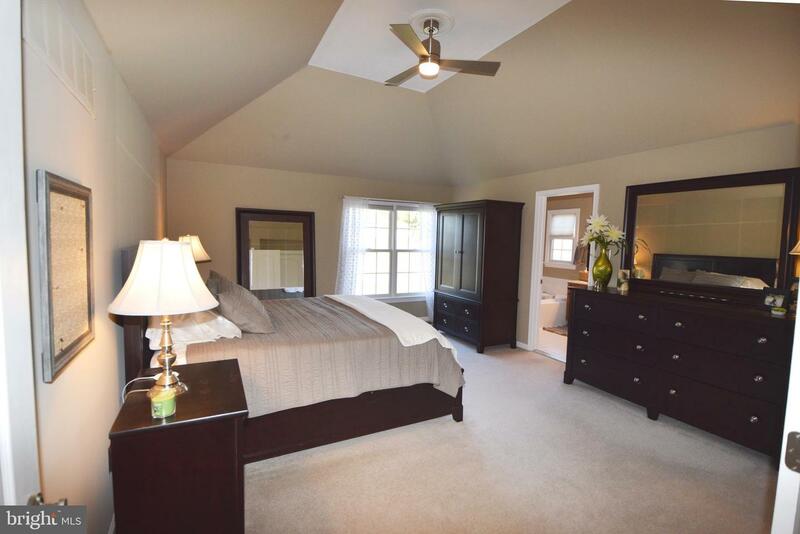 There are 3 additional bedrooms on this level with ceiling fans, exceptional closet space and a full bath to share. 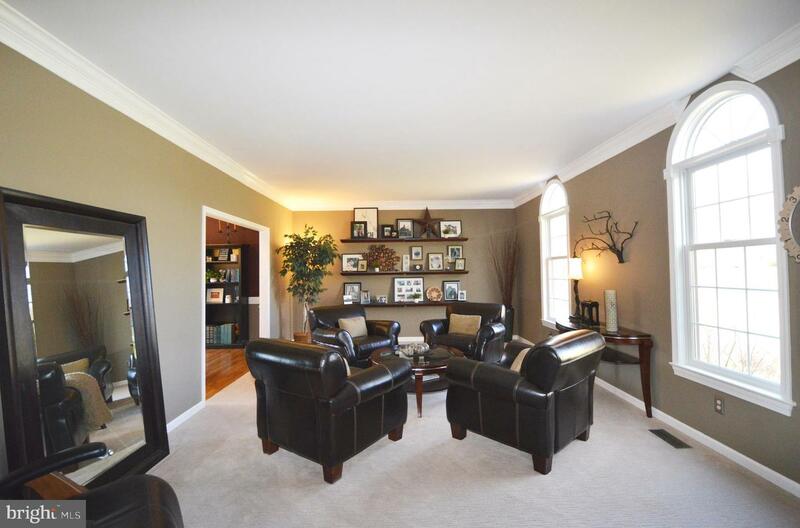 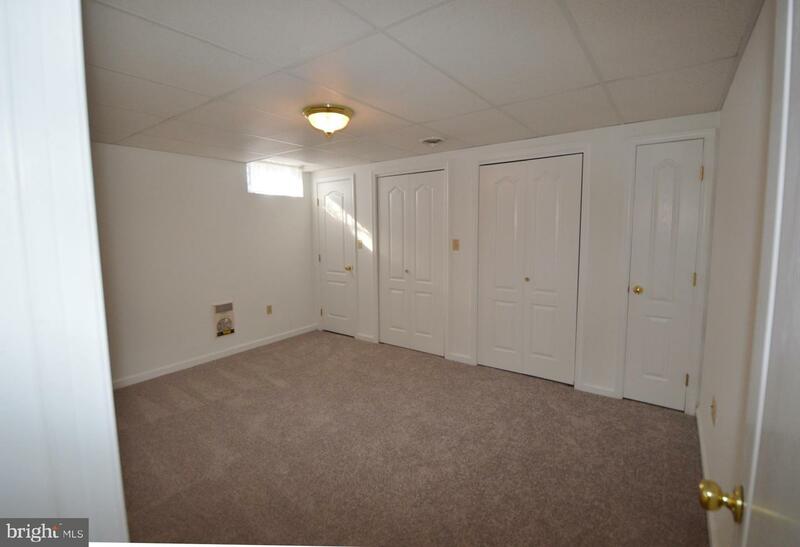 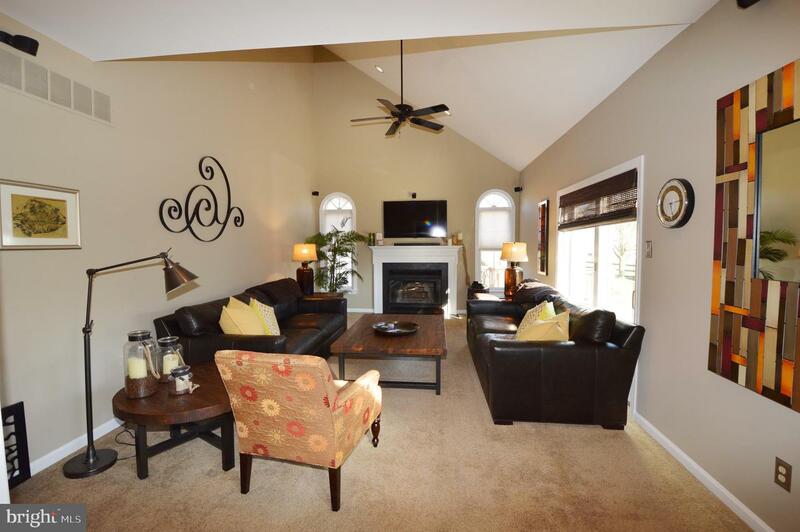 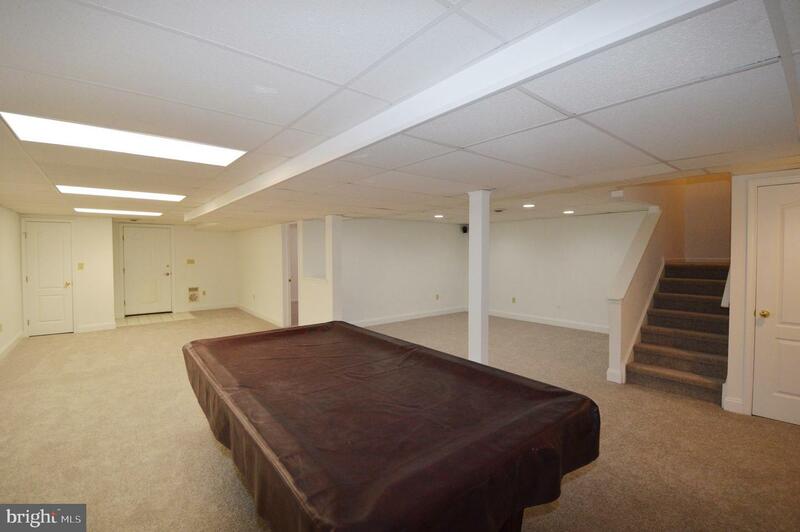 The fabulous finished basement has new paint and carpet, a tv viewing area, an expansive game room or living area, bedroom 5 if needed, a full bathroom, additional storage, and an outside entrance. 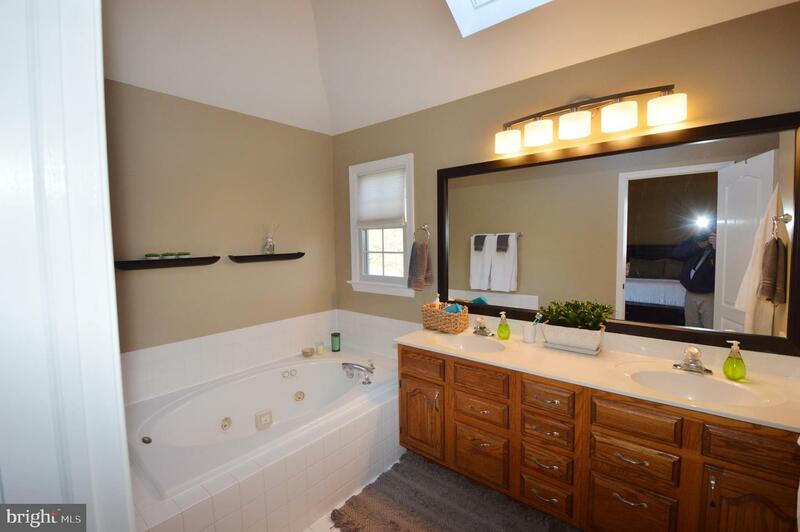 Additional features and updates include a 2 car attached garage with electric car charging station, new roof 2018, new Rheem Marathon water heater 2018, Carrier HVAC 2014, Anderson custom windows and sliders 2010, public water & sewer, and so much more. 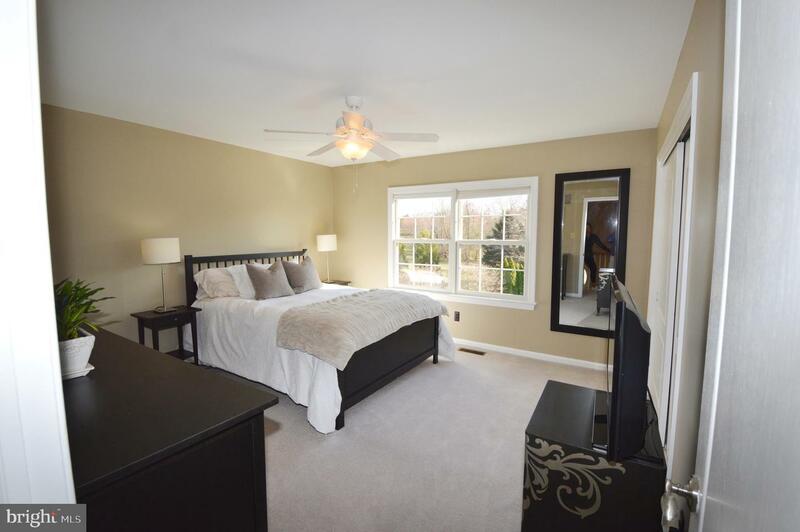 Walkable to schools, minutes to major commuter routes, and a short drive to Kennett Square Boro, West Chester, Longwood Gardens, and Delaware tax free shopping. 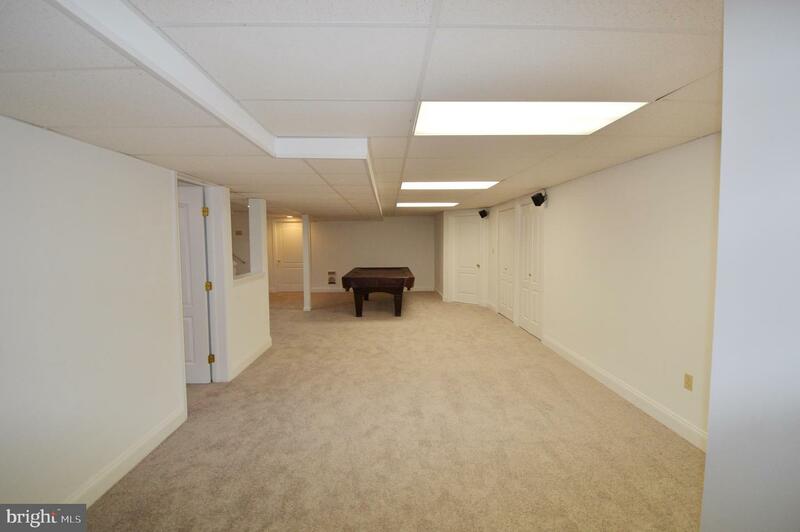 Truly turnkey so put this at the top of your list. 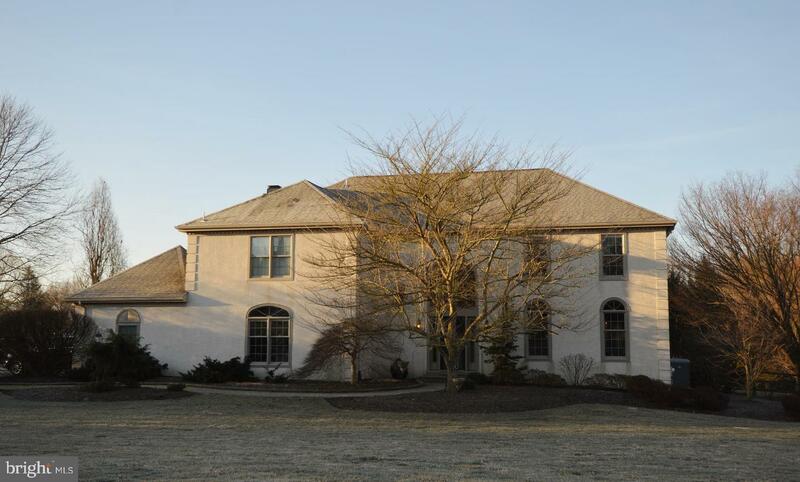 Stucco inspection has been performed and minor repairs will be completed.